Where on earth could you be sipping a sublime spinach, apple and basil concoction at a joint named 42 degree Raw? Or trying to find the nearest entrance to Tivoli from where you stand? Copenhagen, Denmark, we think! 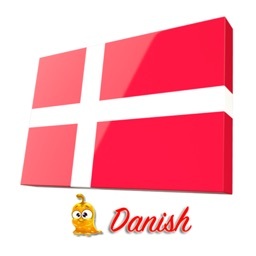 If the Danish Dictionary is unknown to you and you don’t have a Danish translator around you 24/7, you would never feel the local beauty and people of Denmark. Now all that could change. 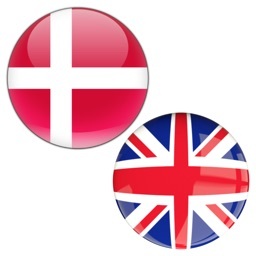 Thanks to the Danish Trocal translation app, you can now have conversations in Danish to find out everything about such must check out places, the people and the culture of Denmark. 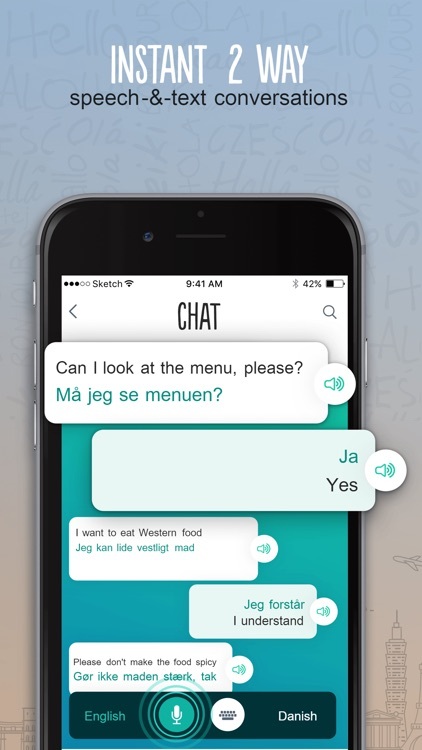 Your wish to be able to chat in Danish by learning everyday words and phrases from their dictionary is now a reality at your fingertips! 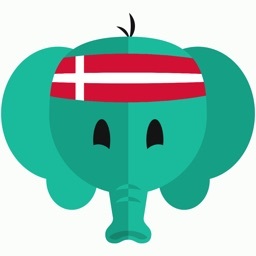 Danish Trocal is that unique language translation app that utilizes video and audio tutorials to help travellers like you from all over the world easily learn and have every day conversations in Danish. 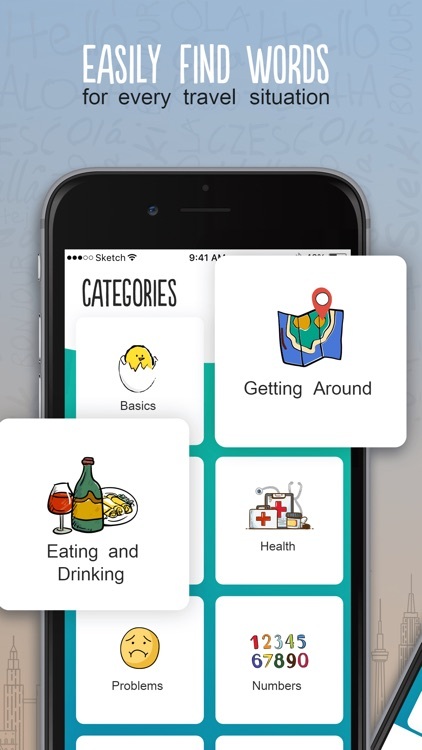 How does our translation app make learning a new language so effortless? 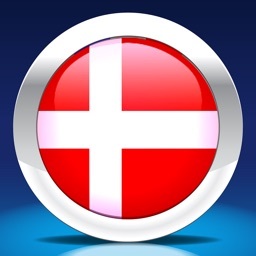 The Danish Trocal translation app has an inbuilt Danish dictionary containing over 500 important carefully selected phrases and words that travellers, businessmen, adventure seekers and enthusiasts will find priceless when visiting Denmark or when chatting with someone in Danish! 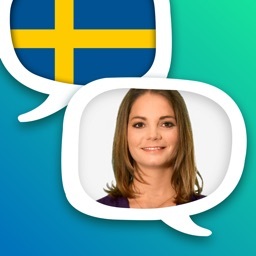 For each phrase, there is a video of a polished Danish native speaker clearly pronouncing each word, plus the equivalent Danish script and also the phonetic pronunciation of the phrase. 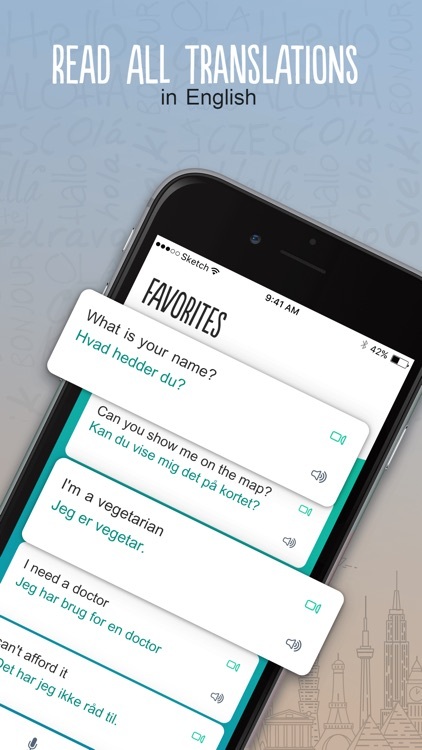 For convenience, these handpicked Danish phrases are grouped into categories for the most common travel situations including Getting Around, Eating & Drinking, expressions, Health, Problems, Numbers, Time and Date, Meeting People, Shopping, Money and even the necessary Danish survival phrases. 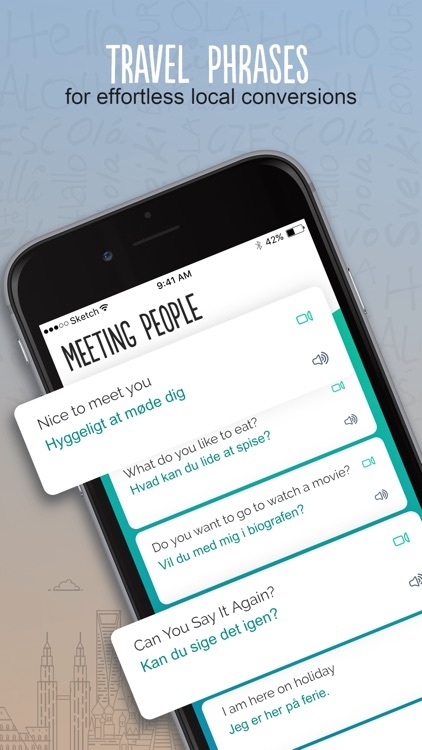 Other first of their kind features include the ability to playback each Danish phrase in slow mode, mark favorites for quick reference and even copy the phrase to send via SMS or email to your friends.